If you knew that 80% of ponies and 25% of all horses in the UK have a chronic, low grade, systemic inflammatory disease. If you knew this disease increases their risk of skin, muscular and respiratory diseases, reduces reproductive function, puts them at increased risk of dying under anaesthetic and of suffering from bouts of laminitis, you'd want to do something about it wouldn't you? But only 35% of us recognise this disease. It affects people too - 30% of the world's population (2.1 billion people) has been diagnosed, if your horse was a human, the EU would consider him disabled. 2 Make sure his fat score across his body stays at three by checking him fortnightly. Ask an equine nutritionist if you're unsure. 3 Ride, lunge or lead for 30 minutes a day, six days a week, to raise his heart beat to 80bpm. 4 Balance his diet with a vitamin and mineral supplement or balancer. 5 Turn him out wearing a muzzle rather than leaving him stabled. 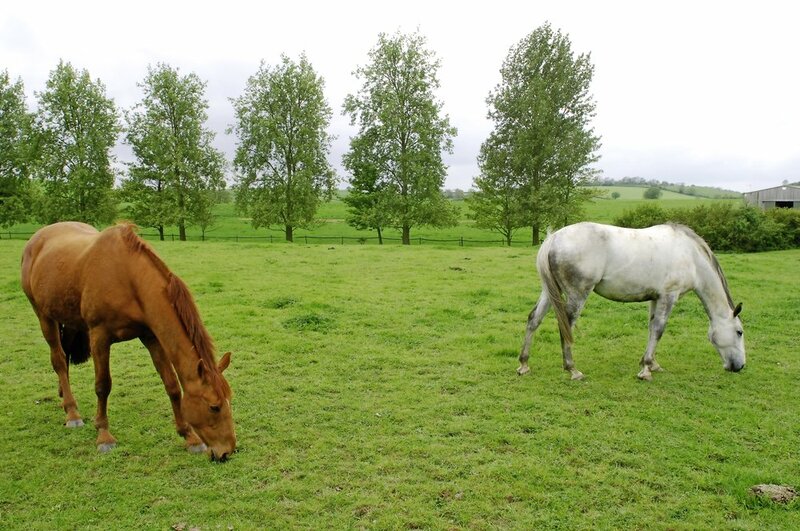 The advice here is quite simple - give your horse as much turnout for grazing as possible. The domestication of horses has removed them from their natural state, and free grazing goes some way to redressing this imbalance. Turnout provides exercise and can help with weight control. However, native horses in the wild would spend all day grazing rough hill land just to eat enough calories to maintain their weight, so fertilised, improved grazing can lead to weight gain, meaning special care is needed for these types. A horse who's constantly eating fibre also products large amounts of saliva, which buffers stomach acid, and the grinding action helps keep the teeth healthy, so a turned out horse is much less likely to suffer from gastric ulcers and dental problems. Many horses suffer from respiratory problems and turnout in fresh air is one of the most important ways to control the conditions. Of course there are situations where horses can't be turned out, for example when recovering from surgery or injury, but otherwise the more turnout the better - especially as it also helps your horse to relax mentally.